During the Ice Age, all of North America was covered in huge quantities of snow and ice. 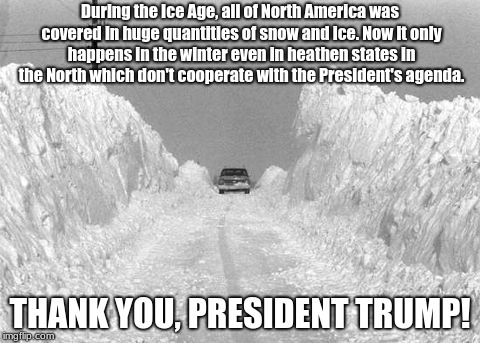 Now it only happens in the winter even in heathen states in the North which don't cooperate with the President's agenda. THANK YOU, PRESIDENT TRUMP!